I’ve tried a couple of different apps whose purpose of existence is to alert users to the existence of other apps that are temporarily discounted or free. So far, the standout for me is Apps Gone Free. I’m not a big games person, and several of the “free stuff” apps I tried out are fairly games-oriented, so I ended up deleting them within a day or so. Other such apps seem to list every app that is on discount or is free–and I found that I just didn’t have time to go through them all and filter out what was of interest (and held some minimal promise of basic functionality–which is not necessarily a safe assumption at the app store). 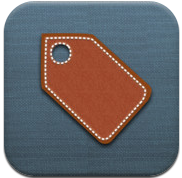 “Apps Gone Free” is the Goldilocks of these apps for me–it’s not too many, not too few. It features a daily list of apps that isn’t so long that it feels overwhelming. But, unlike some of the other offerings, which only feature a single app per day, Apps Gone Free usually features a range of educational, productivity, photo editing and game apps in varying numbers. I tend to gravitate towards productivity and photo editing, while sometimes downloading an educational one or an extremely intriguing game app. For me, this provides an opportunity to sample the alternatives, since the threshold for entry is relatively low (a few minutes to download the app–and no worries about the size of my monthly app store bill!). So far, I haven’t found anything I love. Many of the apps are good, but not standouts relative to what I’d been using previously (e.g. some of the photo editors, to-do lists and so on). Others are fun but not apps I require for any particular function–so while I am happy to check them out as a free download, I’m not likely to do much more with them. Still, it’s fun to browse through the daily free selection and pick and choose a couple to play with each day–without having to worry about cost. There’s always a certain satisfaction in getting something for free, and it indulges the appaholic in me despite my budget. Given that it’s random hit and miss, I suspect that if I discover I have a particular need for a particular function in an app, I would likely follow my usual routine of searching the reviews, doing my research and downloading a paid app. That said, if I find a standout app that somehow changes my workflow or methods, I will definitely write it up here by way of a heads up! Bottom line: Apps Gone Free is an attractive, easy to use app that features a manageable, curated list of daily free apps to sample from a range of different categories. If you enjoy experimenting and playing with different apps but are on a budget, then there’s definitely a serendipitous pleasure to going through their list of freebies for the day, seeing what’s on offer and making a selection of one or two that are of interest. The only problem: I often find I’ve got more intriguing apps downloaded than I have time to experiment with! In all though, it’s a good problem to have.